one happy little crafter: Happy Monday! This stamp is from Sugar Nellie and was part of a birthday pressie bundle that my hubby bought me when he went and visited his family in Scotland, prior to his op, and paid a wee visit to The Papercraft Boutique in Elgin (which is the retail store of Funky Kits). The image is coloured with the promarkers and a dollop of glossy accents on the balloons. I think the paper was a download from Raspberry Road, but I'm not certain, I used a cuttlebug embossing folder to create the border and them added gingham ribbon. The die is from Memory Box, and button and pearls from stash. 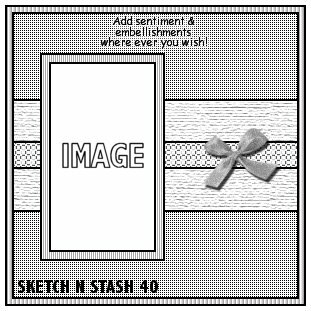 from the current sketch and stash challenge, which I would like to enter. 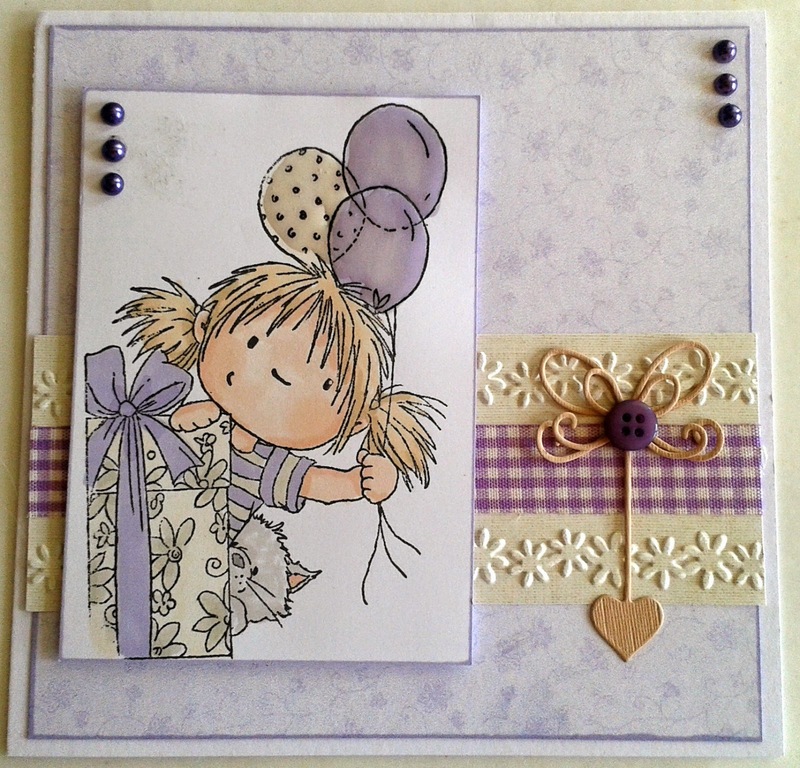 This is such a pretty card Lisa, I love your sweet image and lovely papers. I'm glad to hear that hubby had a restful weekend - make sure you take some time for yourself on your week off from work. Lovely card Lisa, glad to hear your hubby is "getting there"
This is gorgeous Lisa, I love the cute image and pretty colours. I am so sorry that somehow I missed your last post about your poor hubby. It certainly sounds like he has a rough time with one thing and another. I am pleased that he had a restful weekend and is improving now. I hope he continues to make a good recovery. Thank goodness he has you to look after him. Enjoy your week off from work. A gorgeous card Lisa. 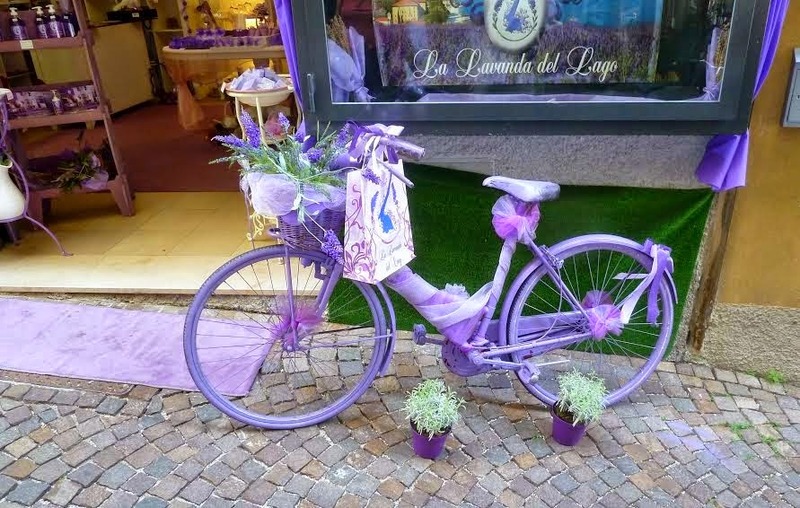 Fab image and colours. Glad you got a bit of 'me' time.